We had a blast shooting zombies, but Activision needs to deliver a beefier CoD experience on mobile. Considering Activision's sparse release schedule, I'm grateful that the company has paid attention to mobile games. Although you won't find nearly as many titles on the App Store as Sega, Activision has seemingly adopted a quality over quantity approach to iOS that's served it and thousands of players quite well. Just look at Skylanders Cloud Patrol, a simplistic but thoroughly addictive arcade shooter I still have trouble putting down. Although we don't expect graphics this good, CoD would still look sweet on iPad. Spyro aside, Activision's biggest cash cow is without question Call of Duty, and you'll find two games based on the franchise for iPhone and iPad: Call of Duty: Zombies, and Call of Duty: Black Ops Zombies. 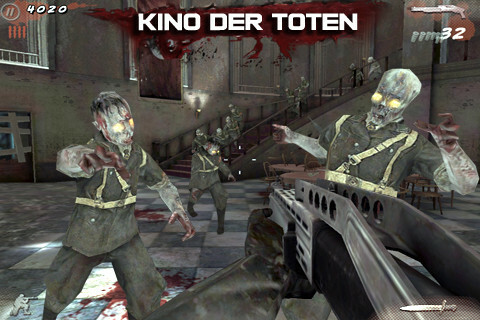 Both of these titles were inspired by the popular mode from the console games, and retain similar features, including four-person online play, a variety of cool weapons and even the 50-level Dead Ops Arcade. The virtual analog sticks don't compare to having a physical controller in your hands, but there's no denying each game's quality. That said, I want more Call of Duty on the App Store, but the zombies have grown a bit stale. With this in mind, it makes perfect sense for Activision to try its collective hand at a more traditional CoD experience, one with a plot, bigger levels and online competitive multiplayer. Basically a console style game for iPhone and iPad, with cutting edge visuals and audio. Where should Activision start? 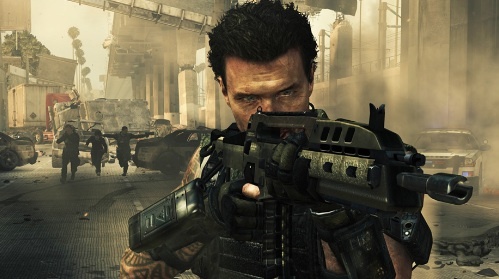 Call of Duty: Black Ops 2, which blasts its way to consoles and PC November 13. It doesn't have to be a direct port; I think developer do more harm than good when that happens. Rather, new bonus levels that help support the main game, similar to what EA did with Mass Effect Infiltrator, which serves to compliment Mass Effect 3, complete with connectivity of some sort. There has to be something Activision can do to tie both games together, whether it's Elite or simply an option to gain experience playing the mobile entry that somehow gets uploaded to the console/PC edition. Killing zombies makes for a fun time, but we'll gladly trade the undead for terrorist scum. At this point, Activision should do something, because first person games have begun to heat up on iOS. Gameloft has long filled the Call of Duty void with its Modern Combat series, the third of which is quite good, while the same exact publisher just dropped the impressive N.O.V.A. 3, a game that definitely helps set the bar for mobile graphics moving forward. It goes without saying that smart phone owners would flip over a more fleshed out Call of Duty on mobile. Case in point, the iPhone version of Call of Duty: Zombies has over 17,000 five-star reviews. By comparison, the original Angry Birds has just over 23,000, and that's arguably the biggest iOS game of all time. On that note, it'd be great to see Black Ops 2, or some other CoD spin-off, make its way onto these devices. Just hold the zombies.